rodeasdown.com.au – French freedom fighters ruined my first brush with Wagner. When I was about five I was watching a war movie on the telly with my dad. It featured Nazi occupation forces driving a van topped with public address speakers through a French town, and it was playing Wagner’s overture to Tannhauser very loudly. At the very best bit, where the violins overlay the horns and the shivers run up your spine, the French resistance blew it up. How insensitive is that? I innocently asked my dad, who single-handedly won the second world war, what that wonderful piece of music was. He was appalled. In 1975 Herbert Von Karajan and the Berlin Philharmonic made a quadraphonic recording of Wagner overtures for EMI which was re-released in 2001 on 24-bit/48-kHz DVD Audio and I can’t listen to it without those spinal shivers. 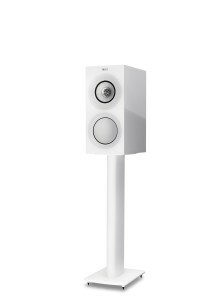 It was the first disc I tried with Kef’s new R3 bookshelf speakers. These are pretty special things. They’re three-way, meaning separate drivers for each of low, mid and high range, and yet you really only notice two of them. That’s because the 2.5 cm aluminium dome tweeter is nestled dead centre within the 12.5cm aluminium midrange driver, a design Kef calls Uni-Q that it’s been refining for three decades. The bass has a 16.5 cm hybrid aluminium and paper cone. Three-ways necessitate more complex design, construction and crossover technology making them unusual in bookshelf size. It also means the R3s are pretty big lumps at 20 x 42 x 31 cm (WxHxD) and 13.5 kilograms each. They’re not cheap either, you’ll get $5 change from $3000. 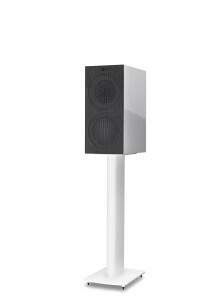 But if available space at your place dictates bookshelf speakers these will give you the sound and performance of larger floorstanders at competitive money. The Wagner sounded great but then it sounds good through public address speakers atop Nazi vans. Where the Kefs really came together for me was with Jan Garbarek, Norway’s most famous saxophonist. Soprano and tenor saxophones wander all over the audible range often underlaid by a bassline of tabla that bubbles like a mud pool in Rotorua. This is often dreamy music, but there’s a lot nuance and subtlety going on and the Kefs do a lovely job of everything in it. Head east from Norway and you’ll eventually reach Mongolia and experience something completely different. I first heard Hanggai on Lucky Oceans’ Daily Planet program on RN and one of its vocalists sounds like he’s been smoking 100 a day since birth. It’s not throat singing but it’s close. There’s a lot of roughshod gradation to his voice as well as scrape and jitter and serration, and the Kefs are on top of all of it. You feel the rasp and clear your throat in sympathy. Icelandic composer and pianist Olafur Arnalds recorded ‘Living Room Songs’, yep, in his living room, one song a day for seven days, and the recording puts you right in there on a comfy sofa with him and his mates. You can hear that the right-hand pedal of the piano needs oil. Don’t let this put you off, it makes the album personal, intimate and very real. That’s the thing about the R3s; they capture reality nicely. 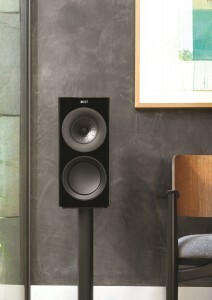 They’re all about precision and definition and their sound is beautifully balanced. And they work across every musical style I tried, and I have been told I have rather eclectic tastes. So these are great all-rounders. Many speaker buyers who have not learned to trust their ears can be fairly easily led into a purchase by salespeople. If you’re one, these are very safe buying; they do a good to great job with everything. If you do trust your ears you’ll make them very happy by auditioning these. My only complaint is aesthetic. The R3s are available in piano black, piano white or walnut and all of them look pretty good, my problem is with the light, thin grilles that are finished such that I wondered if I was putting them on back-to-front, but the magnets only work one way. It turns out the flock-finish side with the indented Kef logo at the top, the side that looks like pressed cardboard, is the one to be displayed. Brrr.